Reptile Insider - Mainely Boas shows off their sixth boa constrictor litter of the season, which contains hypo sterlings, sterlings and het sterlings. Reptile Insider - Mainely Boas shares photos of the awesome litter of sterling and het sterling boa constrictors that they produced. 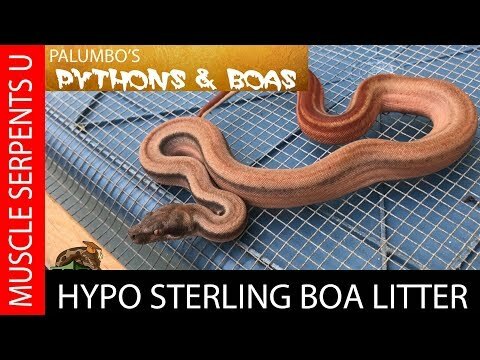 RedtailBoa.net - This smoking hot sterling boa constrictor produced by Ken Baumgarten of Mainely Boas is literally the most colorful sterling that has ever been born.